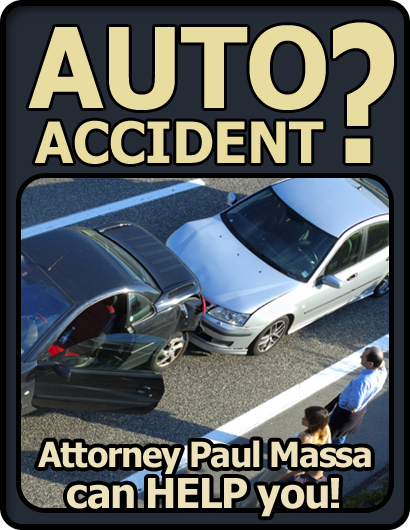 You are likely visiting my website because of an accident involving a car, auto or truck in the greater metro New Orleans, Louisiana area. Your focus needs to be on healing from your injuries, returning to your life's normal routine, and having your vehicle repaired to its pre-accident condition. My job as a New Orleans, Louisiana auto/car accident lawyer is to handle the details of dealing with insurance companies, adjusters, personal injury and property damage claims, litigation and obtaining the legal compensation you rightfully deserve. The initial consultation is free. My clients' legal fee is 100% contingent upon my clients' winning a financial recovery from the at-fault party's auto insurance company. If you don't get paid, then I don't get paid. Simple as that. I make sure you receive the financial compensation you deserve when you have sustained personal injury or property damages arising from a rear end collision, or in any type of New Orleans, Louisiana automobile accident. Please fill out the free consultation form below so I can better evaluate your case and determine how I can best help YOU. Though most car accidents are just minor fender benders, many rear end collisions will have a long term health impact to your neck and spine due to a whip lash injury caused from being hit from behind by the colliding vehicle. You need an experienced auto accident lawyer to make sure you get all the long term health care you need by obtaining the legal financial compensation to which you are entitled. Louisiana law presumes that it is every driver's duty to not hit the car in front of him. For this reason, the vehicle that actually does the "rear-ending" is usually found to be at fault in a rear end accident. However, like most legal doctrines, there are exceptions to the rule. Steps you should take if you have been involved in a New Orleans, Louisiana auto, truck or traffic accident to protect your legal rights. If the police were not at the scene contact them immediately and ask that a police report be filed once officers do arrive at the scene. If you are not seriously injured, at the scene accident, collect important information, such as name, phone numbers, emails and insurance information from both the other driver and any witnesses to the car crash. Use your smart phone to take photos of the damage to all motor vehicles involved, as well as the scene of the accident. If medical attention is needed for any injured passengers, or you the car's driver, record the names of any doctors or other medical professionals that provide treatment. Keeping track of this information will help you itemize your medical expenses and treatment for your insurer, your attorney, and the court. If representatives from other insurance companies should call you, be polite, but ask them to call your attorney. Information given to the insurance companies may be unfavorable to your case. Please don't delay, use the free consultation form above to submit your New Orleans, Louisiana traffic accident information and start on the road to recovery.